Regional Academic Exchange for Enhanced Skills in Fragile Ecosystems Management in Africa (REFORM) Masters and PhD Scholarships 2018. The EU under its Intra-Africa Academic Mobility Scheme, is inviting applications for the Regional Academic Exchange for Enhanced Skills in Fragile Ecosystems Management in Africa (REFORM) Program for Masters and PhD students in Africa. Application Deadline: 7th April 2018. 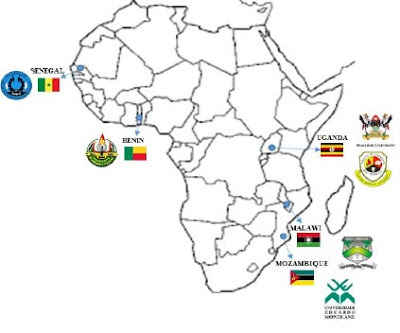 Eligible Countries: Senegal, Uganda, Benin, Malawi, Mozambique, DR Congo, Tunisia, Mali, Madagascar, Lesotho and Sudan. University of Abomey Calavi, Benin Rep.
About the Award: The EU under its Intra-Africa Academic Mobility Scheme, has provided funding to support training of graduate students in African universities. In this mobility programme six African partner institutions and one EU Technical partner will collaborate in the training of professionals to strengthen fragile ecosystems (FE) management in Africa, which will lead into reduced environmental degradation and sustained food production by small-scale farmers. A total of 23 Masters and 11 Doctorates will be trained in the thematic areas of Agroforestry, Ecology and Adaptation; Taxonomy, Biodiversity, Ethnobotany and Natural Resources Conservation and Valorization; Agro-Ecology and Food Systems; Forest, Ecosystem, Environment and Natural Resource Management. The project will provide fellowships for full degree programs (PhDs and MSc) as well as short term mobility for students and staff and will run from 1st November 2017 until 31st October 2022. The project is expected to contribute to a) establishing regional learning platform for improved fragile ecosystem management (FEM); b) internationalizing and harmonizing of training in FEM, c) enhancing skills of University administrative staff to manage mobility, d) improving training skills of academic staff of targeted Universities and e) training of high caliber professionals in FE management. Eligibility: The scholarships are open to candidates from Target group 1 (Senegal, Uganda, Benin, Malawi, Mozambique) and Target group 2 (DR Congo, Tunisia, Mali, Madagascar, Lesotho and Sudan). Value of Award: Subsistence allowance, Insurance, Travel costs, Housing and Tuition fees are covered by this program. How to Apply: All interested candidates must apply online for both university admission and scholarship. Application for admission should be sent to the hosting university and a copy to the project coordinating office at Cheikh Anta Diop University of Dakar. The application for scholarship should be sent to the project coordinating office with copy to the coordinator at the sending institution. Concept note for proposed PhD research. Please note that candidates will only be allowed to apply to institution outside of their home countries. Female and candidates with disabilities are particularly encouraged to apply.